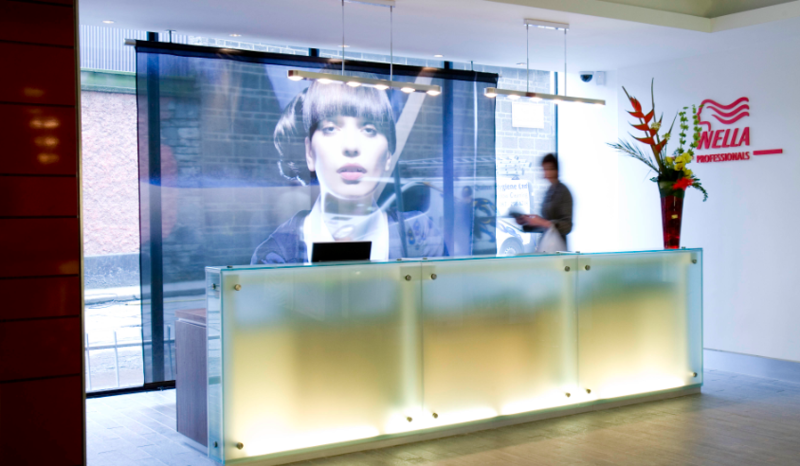 This scheme was awarded the 2007 IDI (Institute of Designers in Ireland) award for best commercial fitout and underscores DMODs reputation for interior architecture of the highest quality. The objective was to create the most sophisticated training base of its kind in the country. 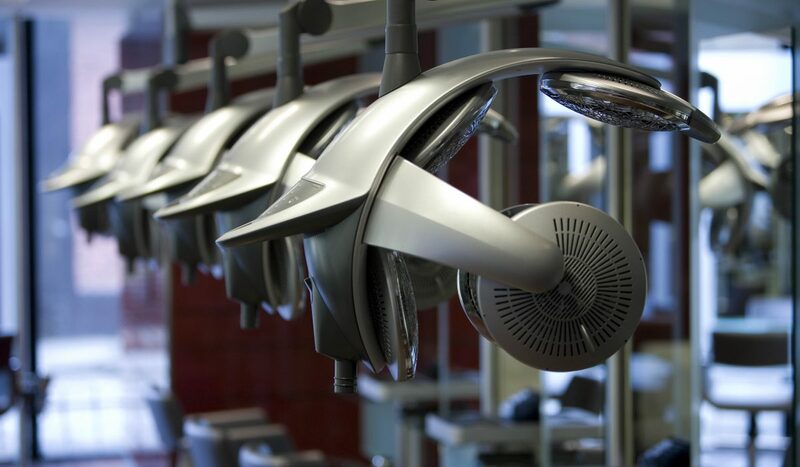 The facility needed to be both versatile and functional. 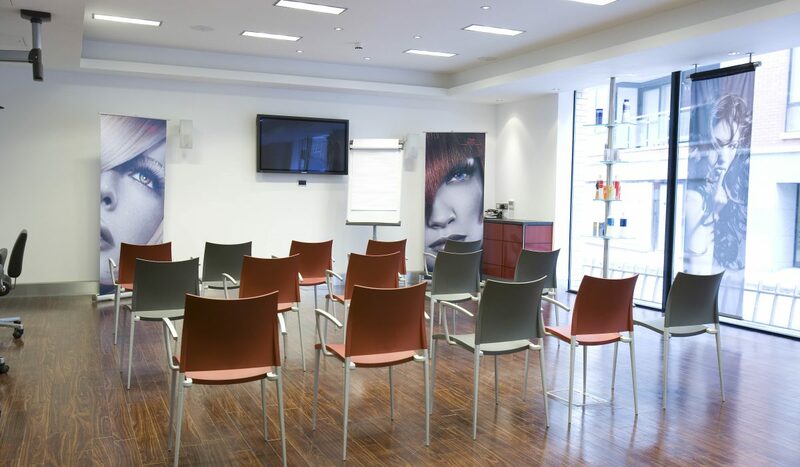 Wella staff and up to 100 hairdressers on training courses can be accommodated at once across the different areas. 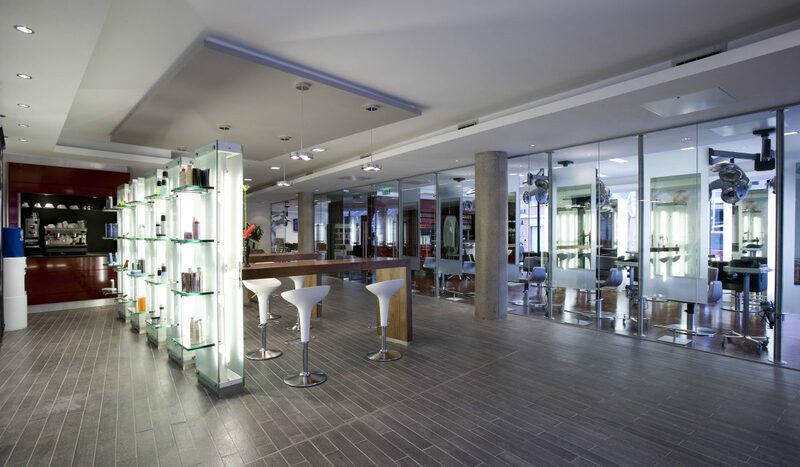 The studio also provides a showcase for Wella products and salon furniture. 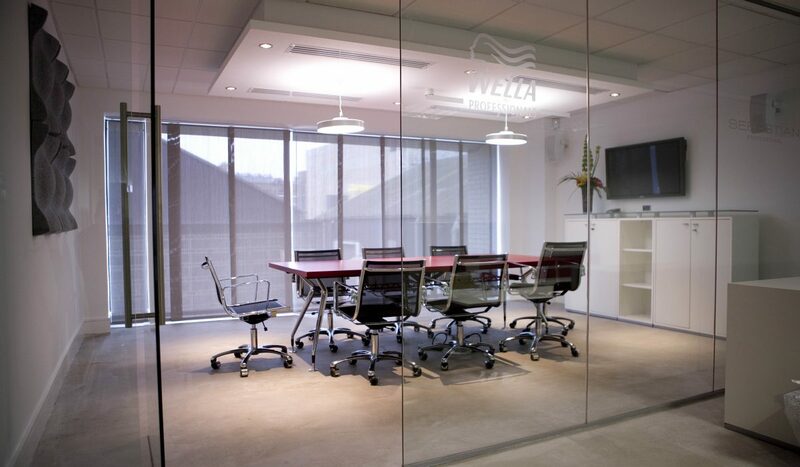 The facility is a spacious 6500 square feet of sleek lines and reflective finishes. 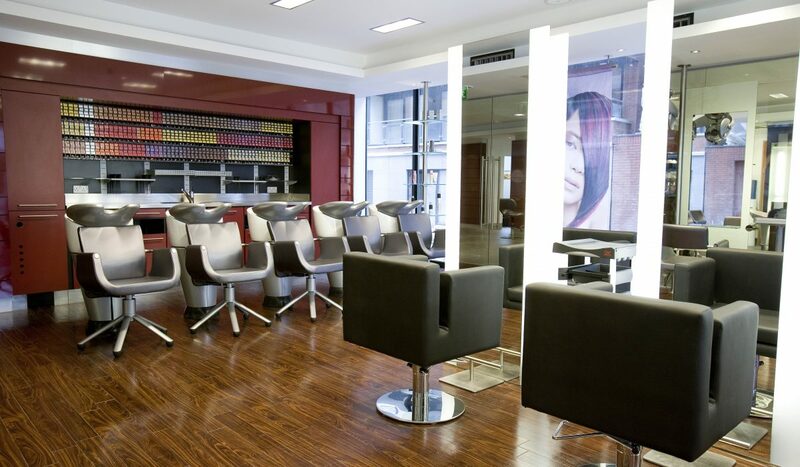 Bespoke units in deep red lacquer provide a sophisticated backdrop. 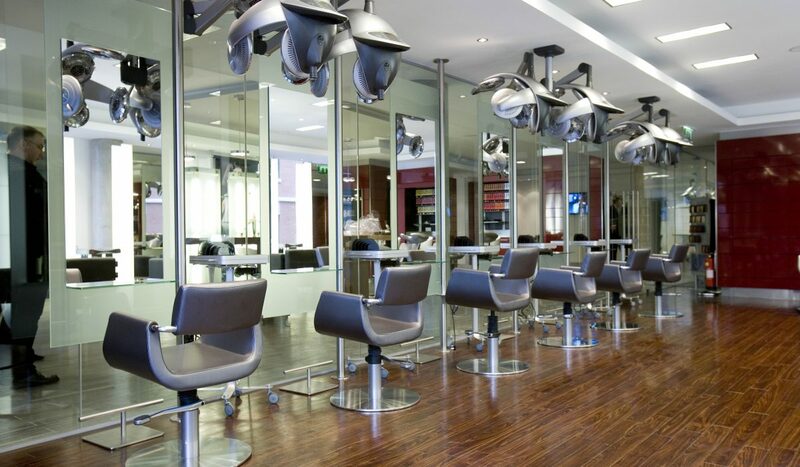 The floor to ceiling glass walls in each studio and the carefully designed lighting scheme create the best possible conditions for colouring hair. Circular columns in exposed concrete have been polished and sealed to a high sheen, and mirrored and backlit units add multiple layers of visual intrigue. 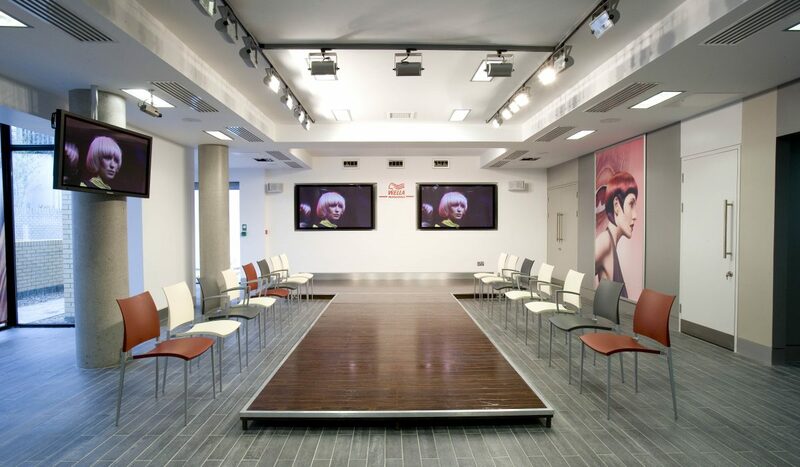 The sleek finish belies the complex Audio Visual, Air Conditioning, Lighting and Water services which are cleverly concealed within the scheme.